With the population expected to exceed 9 billion by 2050, the search has intensified for alternative protein sources to not only feed us all, but to do so sustainably by minimising the environmental impact of food production. “The livestock industry is one of the biggest negative contributors to climate change issues and environmental pressures, emitting more greenhouse gas than all public transport combined," said strategist and entrepreneur Michelle Adelman, opening a panel discussion on protein alternatives at the FoodNext.Africa conference in Cape Town last month. Continuing with more sobering facts, she noted that the problem with protein supply isn’t coming from the U.S. and Europe, which on a per capita basis have the highest number of protein consumers, it’s coming from emerging nations with fast-growing populations like China and Africa. Among her many titles, Adelman is also the founder of Infinite Foods, a manufacturer and distributor of plant-based protein products that are currently launching across South Africa. The company’s COO Neil Taylor, who also formed part of the panel, described the process of encouraging South Africans to incorporate plant-based protein into their diets as “a long game” – especially since South Africa consumes around 60% of all the meat consumed on the continent. Still, plant-based brands have for the most part been preaching to the converted, focusing marketing efforts on vegetarians and vegans only. But the panel agreed that these plant-based brands should view the broader flexitarian consumer group as their target market instead. To do this though, products need to taste good, because other than price, taste remains the biggest factor in people deciding what to eat. Donovan Will, the director of plant-based advocacy group ProVeg, said that one of the biggest barriers to adoption is the perception around plant-based foods and who they’re for. “Most people have grown up eating meat and they see the plant-based idea as very foreign. To a large extent, the traditional advocacy that's been done in this space has focused on ethics or the environment, but not necessarily on taste. So people have this assumption that to eat vegetarian or vegan foods you need to care about certain causes, and not that the food can taste good on its own,” Will noted. With a mission to reduce the global consumption of animals by 50% by the year 2040, ProVeg collaborates with governments, public institutions and the food industry to improve the taste, ease and accessibility of plant-based food. Will explained that in Europe, businesses are focusing on making plant-based food more accessible to change the perception around the category. In Berlin restaurants, for example, vegan options aren't necessarily labelled as such, they're simply advertised as genuinely interesting menu options. So instead of labelling a plant-based burger as a veggie or soy burger, it's named something more enticing, like ‘the Mexican black bean burger’ instead. He noted that consumers shouldn’t feel pressured to assign a label to themselves in order to eat certain foods. Plant-based products are to be enjoyed, they’re not just for a cause. Johann Mocke, sales and general management at Accite, a project development and impact investment firm that focuses on technology-led, sustainable commercial agriculture projects, urged manufacturers to focus on producing quality product. 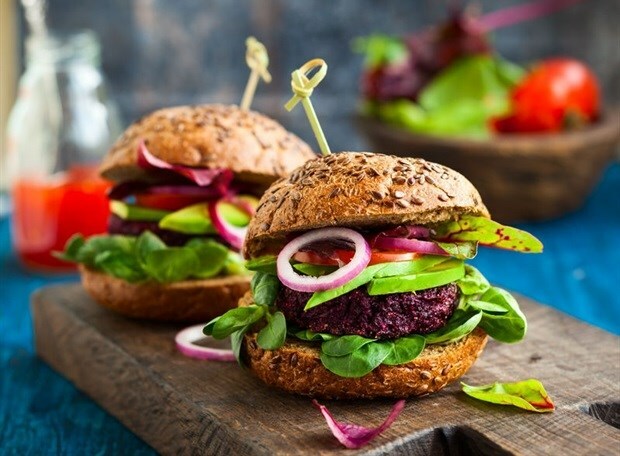 This, he said, goes a long way in convincing retailers to make space on their shelves for plant-based products, whether burger patties, cheese or milk. While responsible retailers are interested in stocking more plant-based foods, Mocke said that all retailers have a capital management system that uses rate of sale as the basis for shelf location, to minimise the risk of waste. Essentially this means that the biggest hurdle for brands is not necessarily getting on the shelf, it’s staying on the shelf. “We need to produce the right product and convince them to list it, but the third leg is responsible consumerism. We have to make sure that we actually buy into these brands, because if not, next month they won't be there,” he warned. The growth of the plant-based protein category will have a profound impact on the agricultural supply chain, because as Adelman pointed out, there will be a shift from growing input grains for livestock to growing mung beans to extract plant-based protein for the industry. George Tomazos, chief operating officer of AGT Foods retail and food ingredients division, said that he predicts there will be an emergence of entrepreneurial style farmers that grow as a cooperative. With the population expected to reach 8 billion by 2020, Tomazos explained that the amount of protein required by that many people is impossible to produce through animal sources alone. Five years ago there was no mung bean production in sub-Saharan Africa. This year, AGT Foods will have produced around 15,000 tonnes. “The search for sustainable food sources is the driving force behind the production of veg protein,” he said.